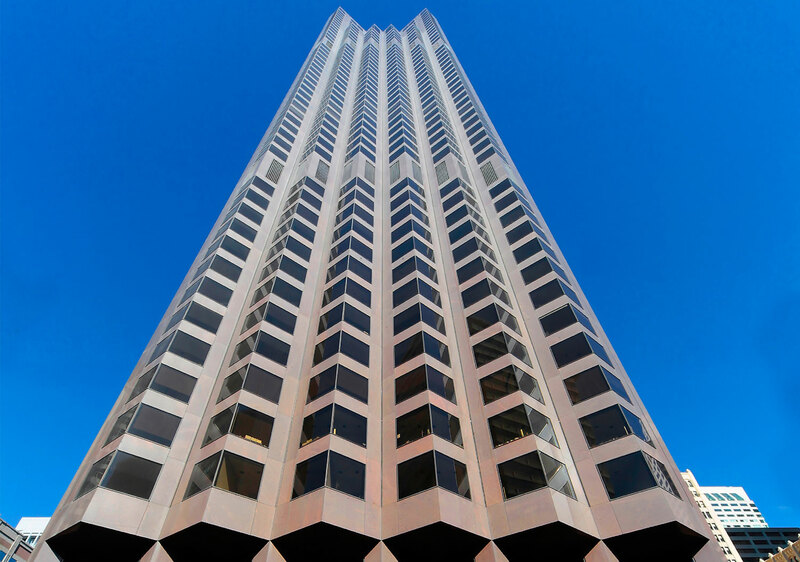 555 California Street, constructed as the Bank of America World Headquarters, is the fourth tallest building in San Francisco. 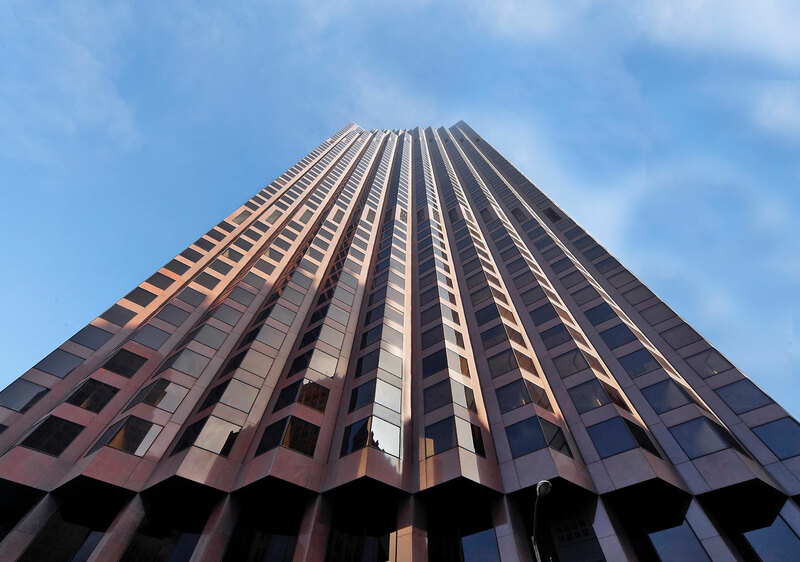 The massive building was designed by Pietro Belluschi, Skidmore, Owings & Merrill, and Wurster, Bernardi & Emmons. The striking and sculptural design features thousands of bay windows, speaking to the city’s residential heritage, despite its bold proportions. Belluschi did not want the bay windows to create “dark holes” and designed the structure with dark polished granite so that reflections would be visible from many angles.